I have worked as a hydrologist and environmental scientist for 30 years. Over that time hope for environmental conservation has given way to fatalism. Governments of all ilk have failed to reverse environmental and biodiversity decline. There has been some progress but it has been partial at best and misguided at worst. Impacts from industry, residential development, farming and mining have declined. 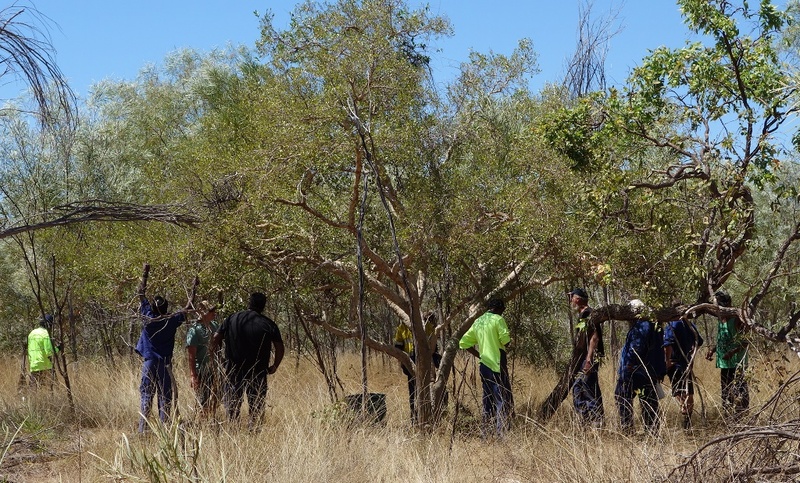 Land clearing laws have seen savannah – maintained by indigenous peoples over millennia ­­– give way to woody weeds, feral species and declining biodiversity over vast swathes of the Australian landscape. The waste from successive governments in funding rainbows and unicorns wind turbines and solar, roof installation and carbon credits, has removed any possibility for years of a fix to the problems of erosion, weeds, ferals, contamination etc. Even mining companies have been allowed to become lax over rehabilitation and restoration. A group of volunteers tackling restoration work. Thank goodness for Abbott’s Green Army. This entry was posted in Broome/Kimberley, Climate, energy, Environment, science, weather and tagged Broome, carbon emissions., carbon tax, climate, energy, environment, Oz politics, politics, science, weather. Bookmark the permalink.